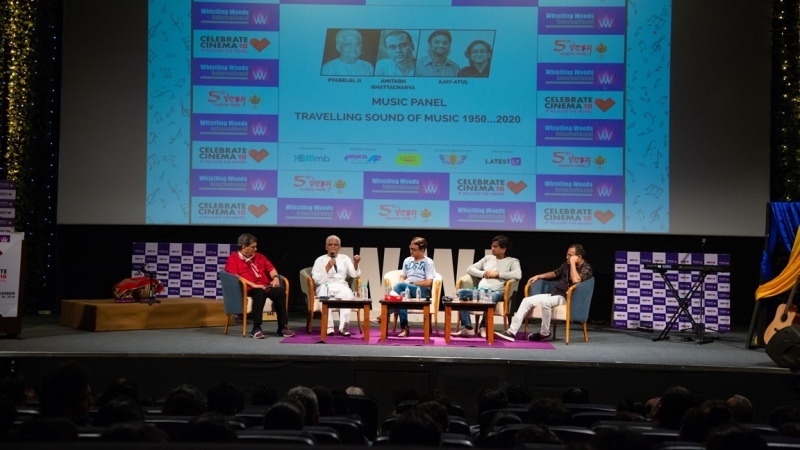 Celebrate Cinema'18 at Whistling Woods International concluded on an exciting musical note with music maestro Pyarelal ji, music composer duo Ajay-Atul, and lyricist Amitabh Bhattacharya, in a 3-hour mesmerizing session. 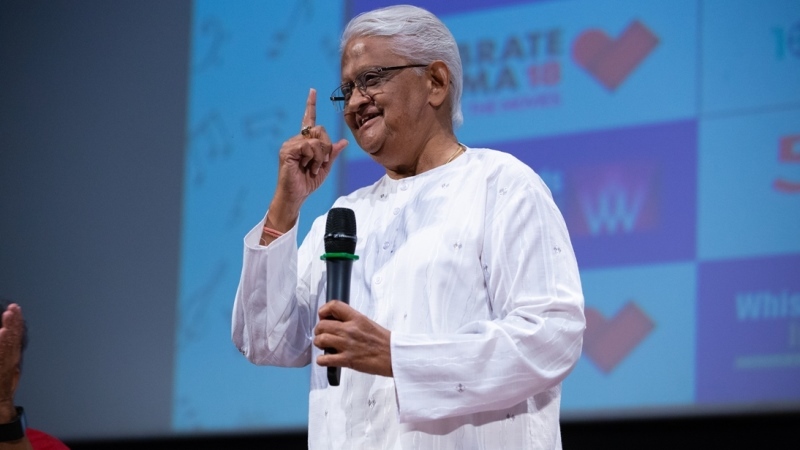 "Never before have I experienced something like this in my life", said Pyarelal Sharma of Laxmikant-Pyarelal, who reigned for four decades, composing music for 635 movies in Hindi cinema. 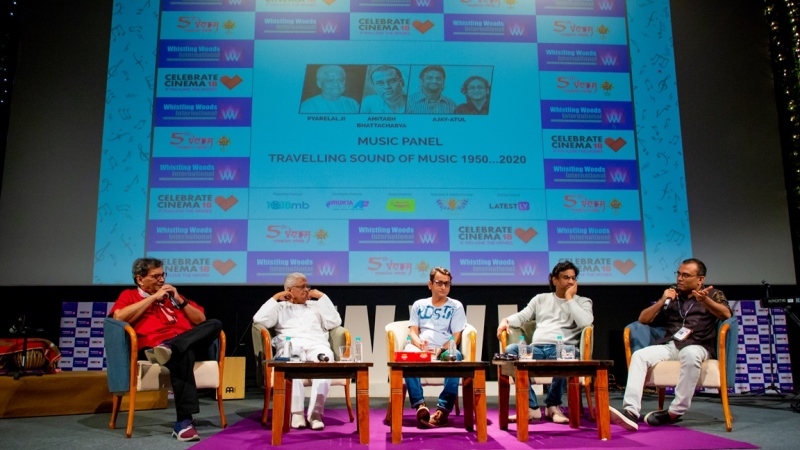 Pyarelal ji commented on the ever-changing music through different eras and said, "No music is ever bad. No change is bad. We should all progress towards advancements and continue to enjoy the music in every era. I love the music of today." 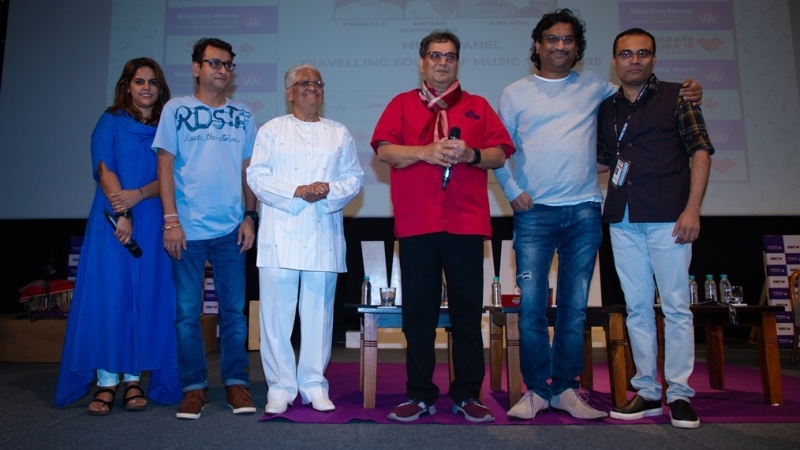 Ajay-Atul, the latest addition of a super composer duo, complimented Laxmikant-Pyarelal and said, "We are here today because of old melodies that touch people's hearts." 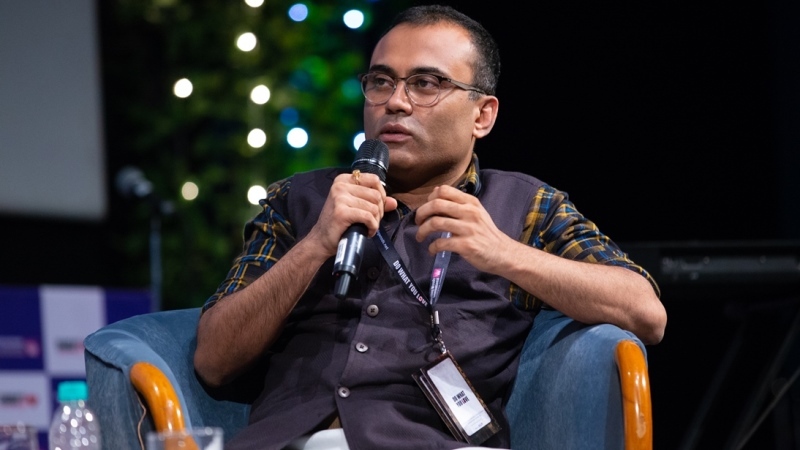 Amitabh Bhattacharya of Ae Dil Hai Mushkil-fame asserted that lyrics also kept changing basis the changing society, culture, values and language that people use today. "The writings reflect more of spoken language and thoughts with which the youth of India relate today", he added. Students from WWI School of Music sang songs in three languages -Tamil, Hindi and Korean, which won them applause from the masters present at the session. 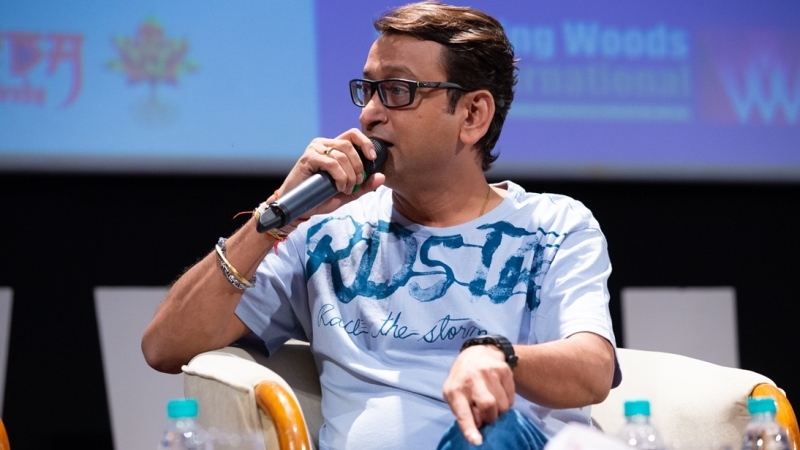 The most heart touching part of the session happened when Subhash Ghai showed an AV of a background music session from the last scene of his film Karma. The audience gave a standing ovation in delight and awe of the music maestros. Meghna Ghai Puri thanked and appreciated the guests for sharing their enlightening thoughts and giving the students a lifetime experience by sharing their knowledge. 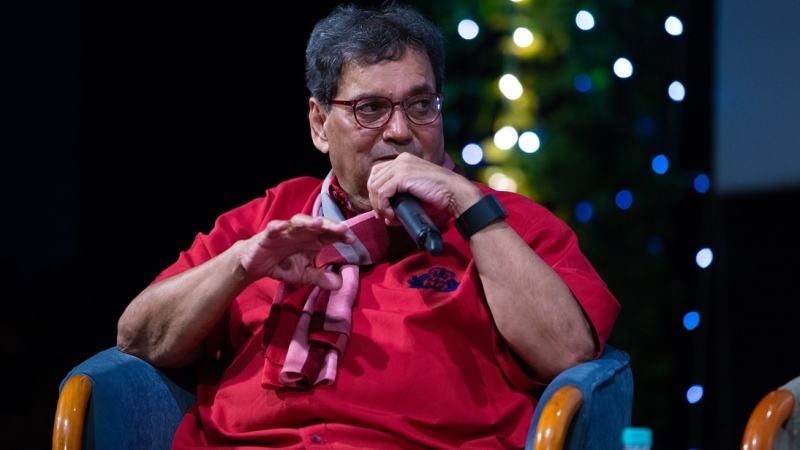 While concluding Celebrate Cinema 2018, Meghna Ghai Puri surprised Subhash Ghai by announcing 'The Subhash Ghai Vidya Daan Scholarship', since Subhash Ghai has been appointed as the Chairman for MESC (Media and Entertainment Skill Council) and is actively working for the skill development of the youths in India.